While September is called the January of fashion, May, very well, can be called its holy month. Just when we were catching our breath from all the Met Gala action, here comes the most awaited international event of the year- The Cannes International Film Festival. Yes, it is that time of the year where the best of couture fashion, international films and A-List celebrities are all found under one room on the French Riviera to celebrate the best of world cinema. Even though it is an international film festival, Festival de Cannes is very popular for its high fashion and glamorous red carpet looks. While most of us can’t attend the event, thanks to L'Oréal Paris, the festival’s official makeup partner, we get to try out some of the latest products that the stars themselves will we wearing. Every year, L'Oréal Paris releases a special edition Cannes collection in honour of the festival. 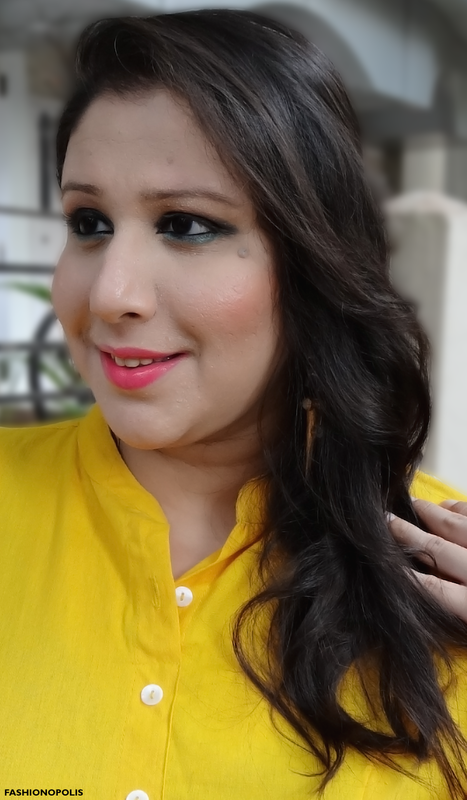 I got to try out some of the products and have created two classic, all time favourite red carpet looks that have been spotted year after year at the Cannes red carpet. 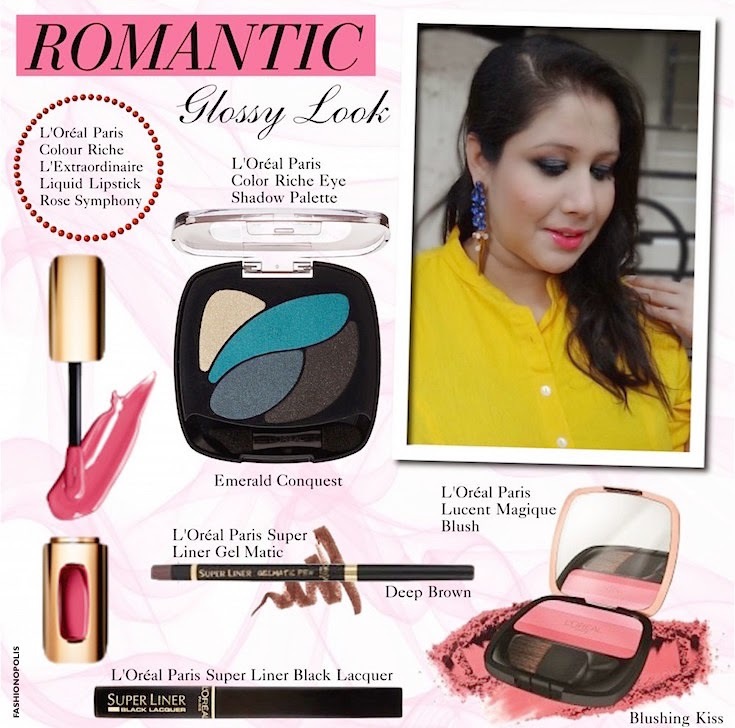 I chose to go with a romantic theme for my glossy look. A soft look that reminds you of fairytales and a midsummer night's dream! 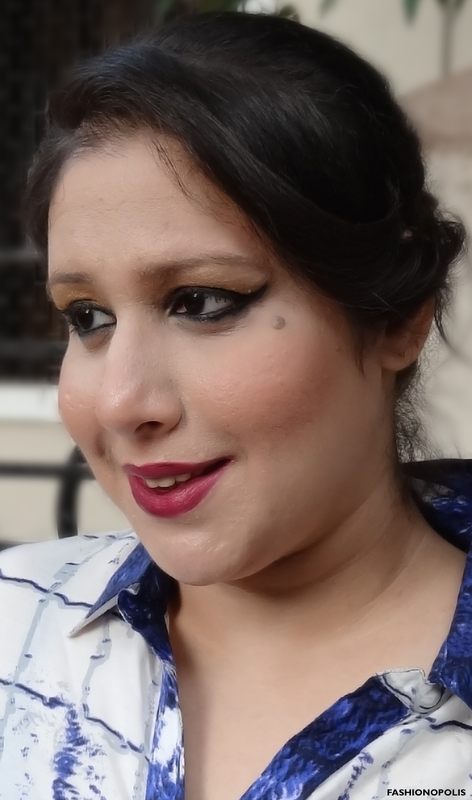 The delicate pinkish red shade of L'Extraordinaire Liquid Lipstick- Rose Symphony gave the look a dewy pink pout. 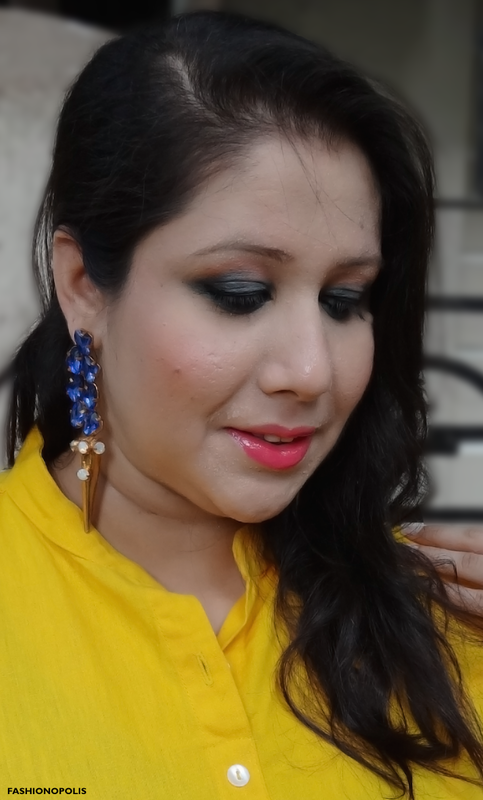 Staying with the theme, I opted for emerald green smokey eyes, instead of classic black, to give the look a dreamy feel. Completed the look with a side swept soft curls reminiscent of old Hollywood glam. 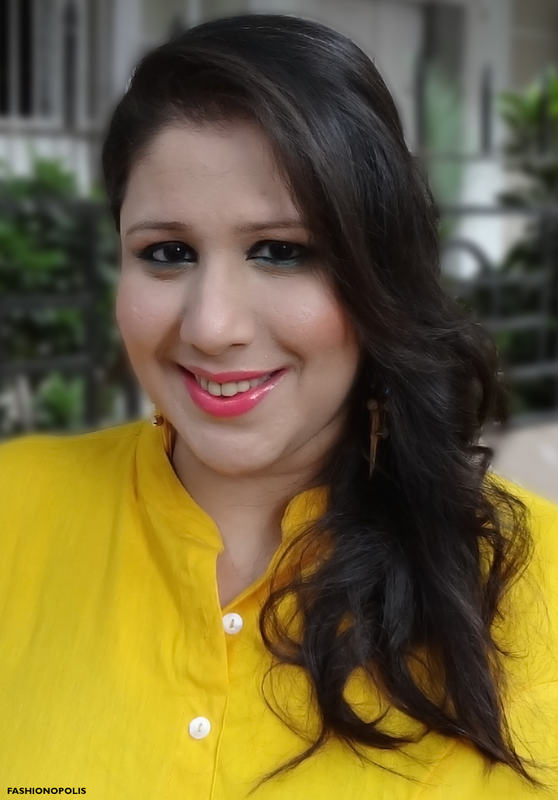 Being a matte girl, this was my first time trying out L'Oréal Paris liquid lipstick. What I loved about it is, the way it beautifully fused gloss with lipstick. The final result is glossy in appearance without a sticky residue. 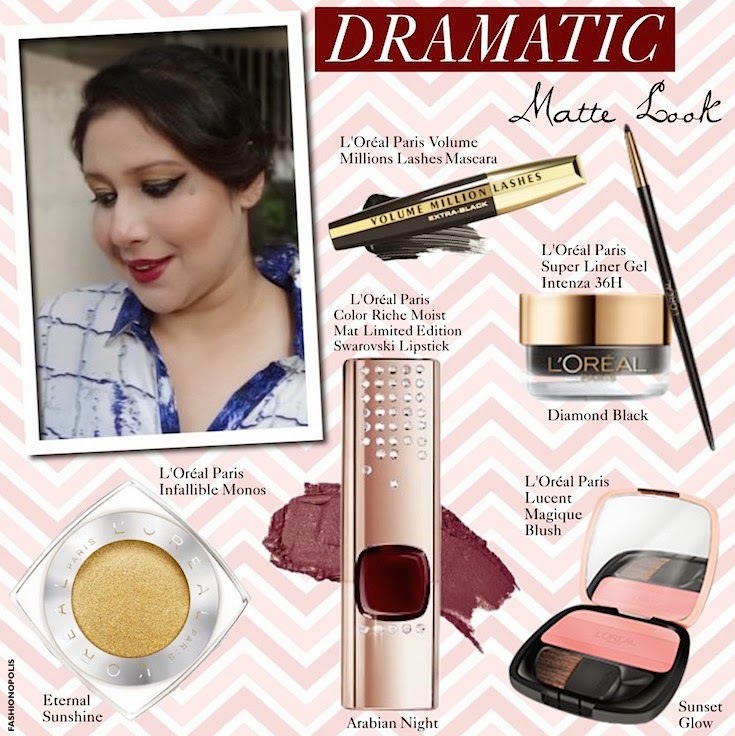 For my matte look I choose to go dramatic. While the first look was all about fresh colours and free-flowing hair, this one is more on the darker and structured side. The deep plum, with a hint of maroon, Arabian Nights shade from the Moist Mat Limited Edition Swarovski Lipstick range was ideal for the dramatic look. 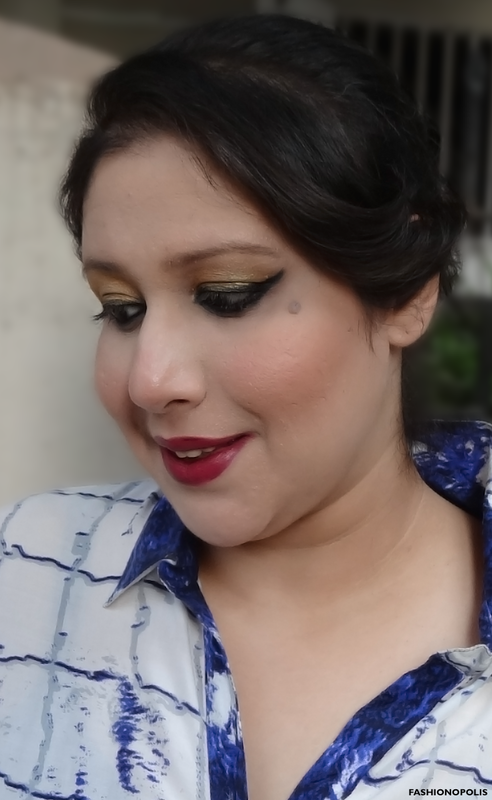 I decided to up my drama quotient and pair my dark lips with extended winged eyes and gold eye shadow, a hint of rouge on the cheeks and a sleek bun. Since dark lips are quite a trend this season, this look is perfect to make a bold statement with just your lips. I swear by L'Oréal Paris Moist Mat lipsticks and was really looking forward to trying the Limited Edition Swarovski range. The texture and finish is same as the Moist Mat range, however, the Swarovski embellished case is an absolute treasure. 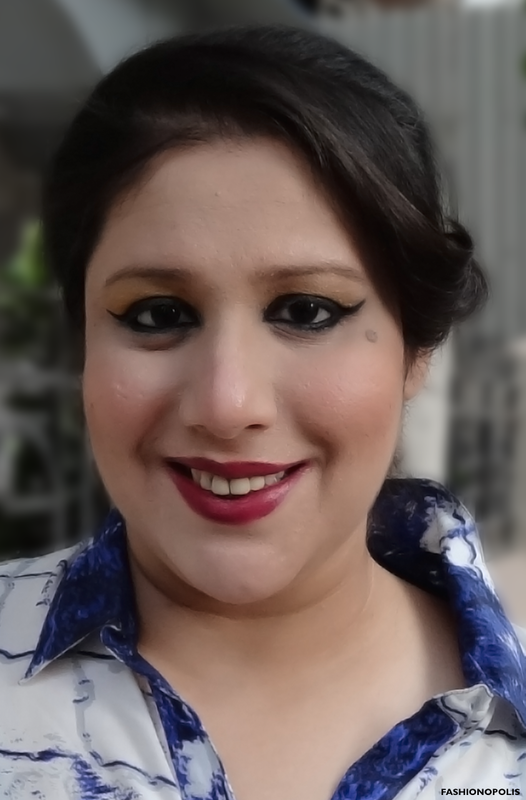 I have been using the classic black Super Liner Gel Intenza 36H eyeliner for a few years. This was my first time trying the Diamond Black. This one has hints of silvery glitter along with it that gives a slight shimmery look on application. This look was inspired by Sonam Kapoor’s 2013 Cannes red carpet look. Other than being timeless red carpet looks, both these looks are very popular, especially with the L'Oréal Paris ambassadors who often spot one or both these looks at Cannes. Now that Cannes has started I can’t wait to see what all looks my fave L'Oréal Paris brand ambassadors will be flaunting. U look sooo pretty !